Russell Jensen is the Director of Pharmacy at St. Mary’s Hospital Medical Center and Dean Medical Center in Madison. 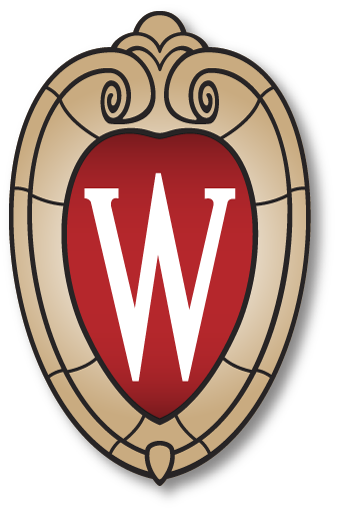 He received his BS in pharmacy in 1970 and his MS in hospital pharmacy administration in 1974, both from UW-Madison. Jensen’s residency training, which began in 1971, was interrupted for a couple of years when he was called by the Selective Service Board to serve as a commissioned officer in the US Public Health Service in South Dakota. Upon completing his residency in 1974 he traveled to Kentucky to begin his administrative career, and returned to Madison four years later as Director of Phamacy for St. Mary’s Hospital Medical Center. He has been the President of the Hospital Pharmacy Society in both Kentucky and Wisconsin, Treasurer for the Pharmacy Alumni Association (1996-2001) and Treasurer for the Pharmacy Society of Wisconsin. In addition to these professional organizations, Jensen has represented pharmacy by his involvement with the Madison Area Technical College, Diversified Health Services, and Mercy National Purchasing. As Director of Pharmacy for St. Mary’s Hospital Medical Center, Jensen was significantly involved in implementing a bar code system at the point of medication administration to improve the safety and quality of the medication use process. This initiative helped St. Mary’s earn the Malcom Baldrige National Quality Award, the highest honor a US company can receive for quality management and quality achievement. After receiving his PhD in history of science from UW-Madison in 1968, John Parascandola spent a postdoctoral year at Harvard University and returned to UW-Madison as a faculty member to teach history of pharmacy and history of science from 1963 to 1983. From 1973 to 1981, he also served as Director of the American Institute of the History of Pharmacy, and since 1989 has been Chair on the Institute’s Council. In 1980, he received the Edward Kremers Aware for distinguished writing in the history of pharmacy by an American. Parascandola was appointed Chief of the History of Medicine Division (HMD) of the National Library of Medicine in Bethesda, Maryland in 1983 and held that position until 1992. During his tenure at HMD, Parascandola significantly increased the application of computers and other technologies to the Library’s historical collections, was notably active in promoting the Division’s services to a wide variety of audiences and developed a number of new scholarly programs. In 1992 he became the first incumbent of the position of Public Health Service Historian. His contributions as a federal employee were recognized through such honors as the Surgeon General’s Exemplary Service Award (1989 and 1996), the Assistant Secretary for Health’s Superior Service Award (1999), and the National Institute of Health Merit Award (1988). During his years outside academia he has continued to teach, holding visiting appointments at Johns Hopkins University, the Uniformed Services University of Health Sciences at Rutger’s College of Pharmacy. His book, The Development of American Pharmacology: John J. Abel and the Shaping of a Discipline, was awarded the George Urdang Medal for distinguished pharmaco-historical writing by the American Institute of History of Pharmacy in 1994. In 2002, Parascandola was awarded the Sidney M. Edelstein Award for Outstanding Achievement in the History of Chemistry by the Division of the History of Chemistry of the American Chemical Society. Upon his retirement from the Department of Health and Human Services in January 2004, Parascandola was awarded the Surgeon General’s Medallion, the highest honor that the Surgeon General can bestor. Parascandola remains active by teaching, doing research, writing, lecturing and consulting as an eminent expert in the history of science and medicine. Charlotte Smith received her BS degree in pharmacy in 1968 and her MS degree in continuing and vocational education in 1980 from the UW-Madison. In the late 1970s, Smith became Assistant to the Dean of the School of Pharmacy and was responsible for program planning, curriculum development, teaching and technical editing. In the 1980s she was the vice president of sales and marketing for Wheatstone Programs and Products where she was involved in product development, marketing and sales of natural food products to wholesalers and retailers. She continued her sales career at Concept Marketing Associates and later, DP Hamacher and Associates. She was instrumental in the founding of the Returns Industry Association in 1998 and served as the Chairperson of the Standards Committee where she was the primary author of Guidelines for Reverse Distributors: Minimum Federal Regulatory Standards. She also drafted model state regulations for reverse distributors and an amendment to the Controlled Substance Act. She recognized the need for a systematic approach to pharmaceutical waste management by the health care industry and founded PharmEcology Associates in 2000 to develop tools and programs for use by this sector of the profession. She also co-founded Capital Returns, Inc., a nationally known pharmaceutical reverse distributor and served as its President and the Chief Regulatory Advisor for 10 years. She has served as a consultant to the Florida Department of Environmental Protection, the Minnesota Pollution Control Agency and the State of Washington’s Medical Industry Waste Prevention Roundtable and IRAC Pharmaceuticals Workshop. She currently serves on the NIOSH Hazardous Drug Working Group charged with updating the hazardous drug list for OSHA and with developing revised hazard controls standards for employee safety. She is a recipient of the UW SOP Alumna of the Year Award and has served as Chair of the school’s Board of Visitors.